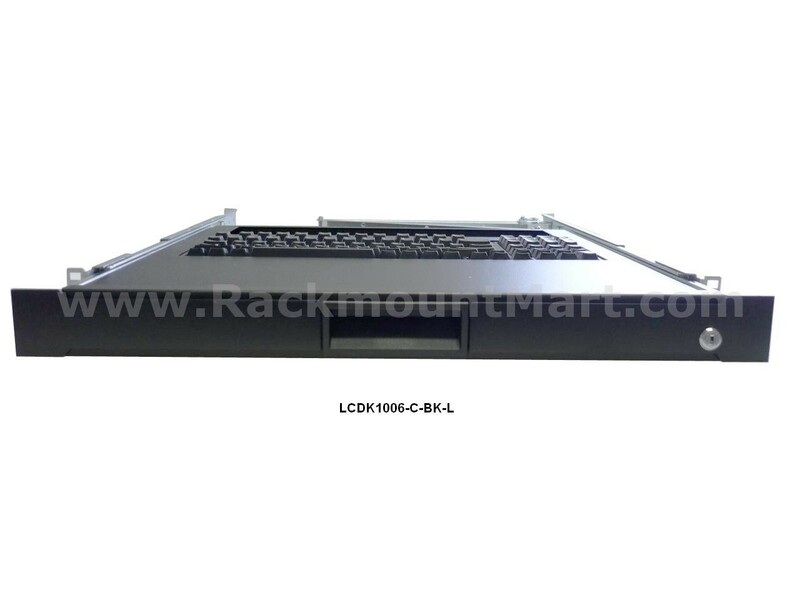 - 1 rack unit high (1.75"). 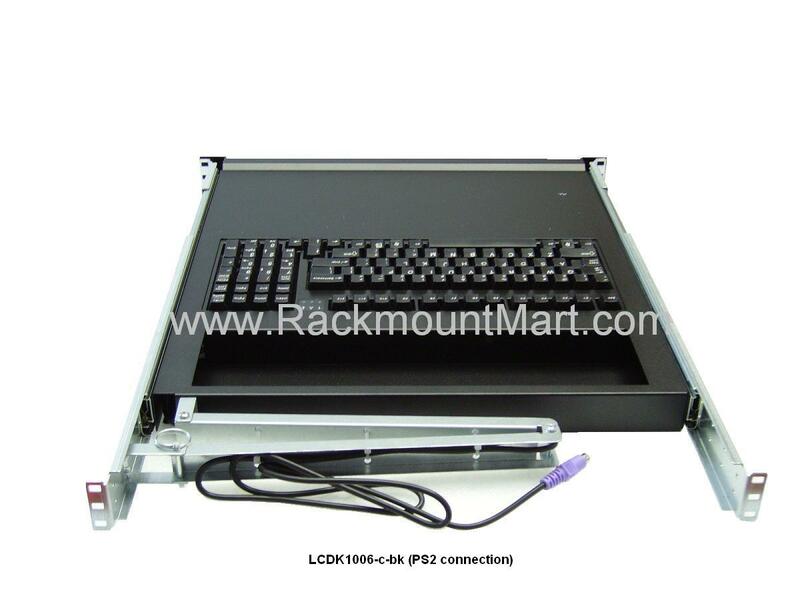 - PS/2 compatible keyboard uses longlife membrane switch technology. 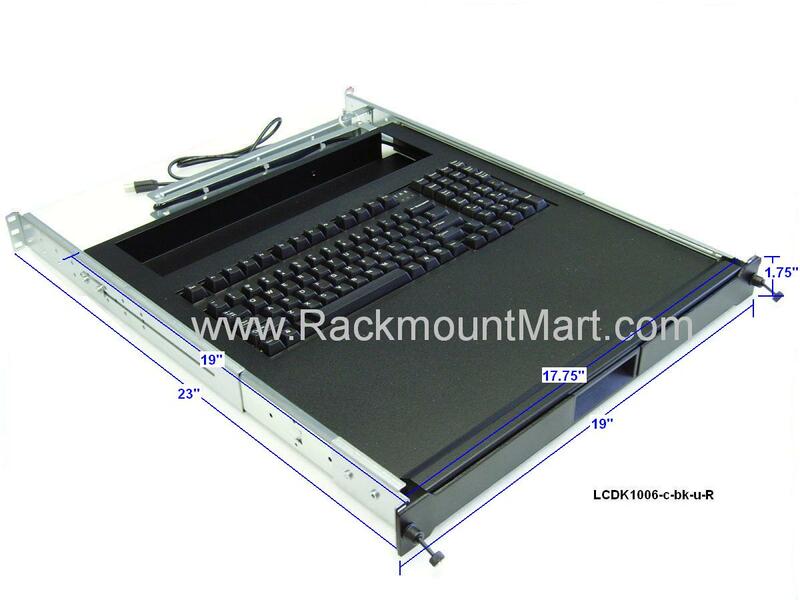 - Choice of front panel options (lock, retainer, blank). - Locks in the extended position to provide stability. - Ball bearing slides with mounting length adjustable from 23" to 30". 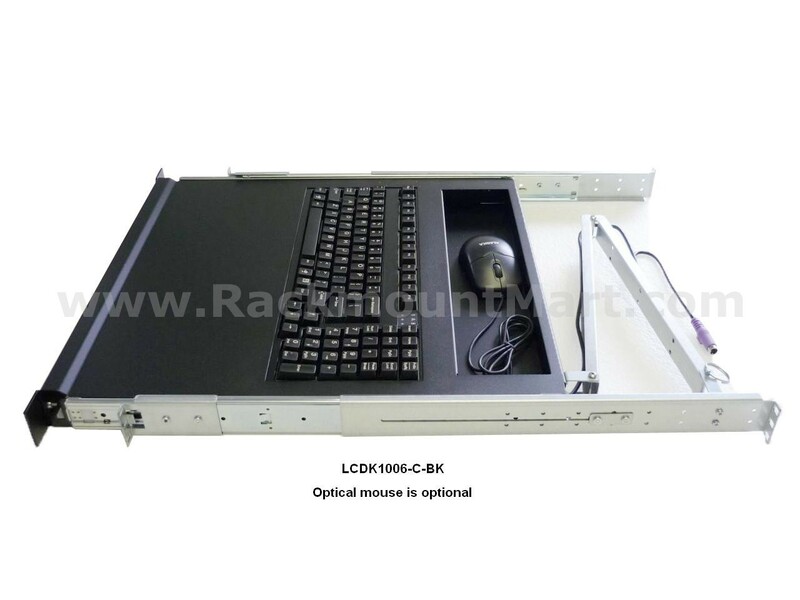 The LCDK1006-C keyboard provides an area for mouse use in front of the Cherry keyboard while the LCDK1066-B keyboard provides an area for mouse use behind the Standard keyboard. Both models offer a convenient mouse storage area located at the rear of the unit. 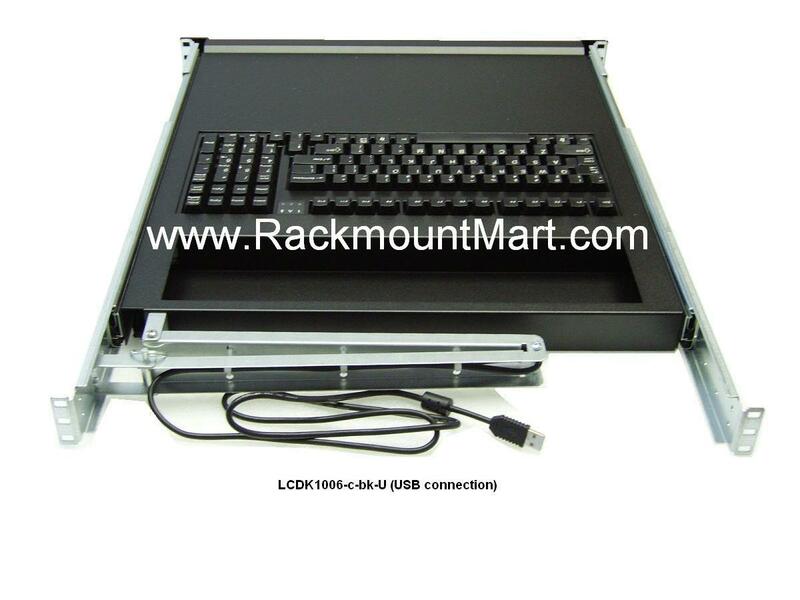 The front panel features a recessed handle to allow mounting behind rack doors. 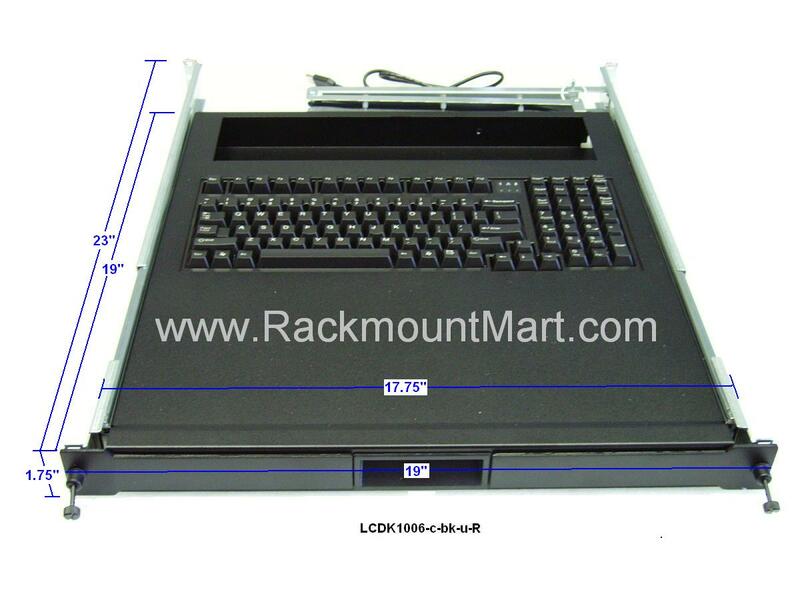 Optional front panel retainers are available to insure the keyboard stays in the rack for mobile or high vibration use. 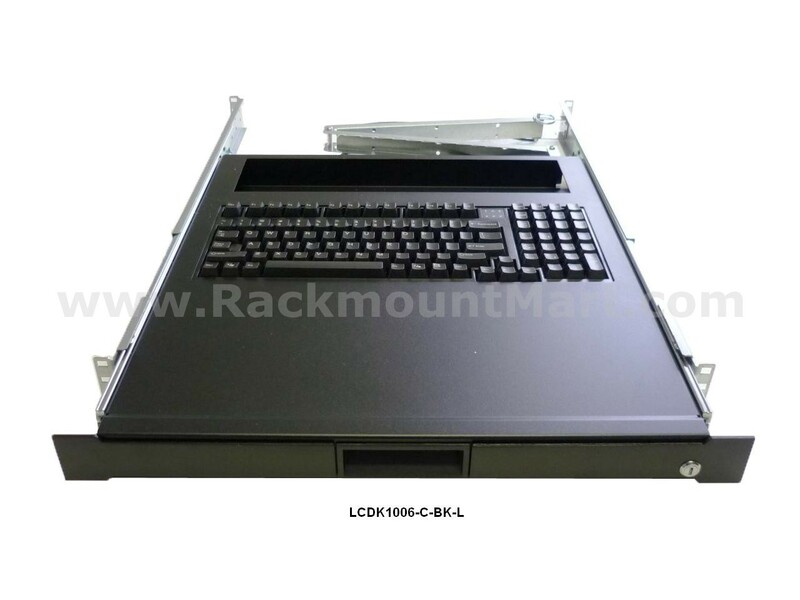 The front panel may also be ordered with an optional keyed lock to secure the keyboard in the rack and discourage unauthorized use.